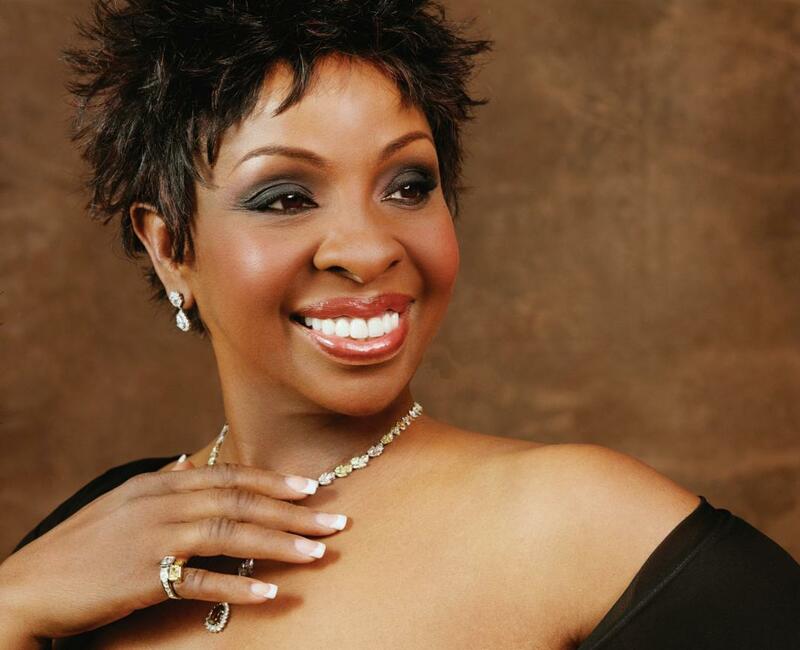 Gladys Knight had her first great hit when she was 16 years old. She is called the Empress of Soul, but her domain includes Gospel, which she started singing at home in Atlanta when she was 4; R&B; Pop; and something called Adult Contemporary which could include all the others, too. She has No. 1 hits in each of those categories. Her performances with the San Francisco Symphony with her own vocal quartet and musicians, Dec. 12 & 13, rocked Davies Symphony Hall. Her smiling, up beat presence, her terrific voice, the great songs from whenever all added up to an entertaining, uplifting, fun, touching night of music. The years have done nothing to diminish her singing or her person. Anyone out there who is of the age to have been young when Gladys Knight & the Pips were new can be happily assured that she looks and sounds fantastic. She prowls, skitters, and boogies across the stage. In fact, just standing still she is dancing. As a solo performer and as part of the much celebrated group, she has won seven Grammy awards and recorded thirty-eight albums. 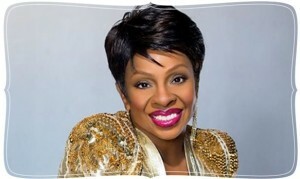 Ms Knight never sat back; she was always working, creating, producing, performing. With so many songs that the packed to the rafters audience wanted to hear, was she able to fit in all the hits in her non-stop 85 minutes on stage? A lot of them. Heard It Through the Grapevine, The Nitty Gritty, If I Were Your Woman–and more from the Pips era were there. She and JaVont’e Pollard, one of her quartet, sang If I Were Your Woman as a dramatic, alluring duet. The Pips, her brother and two cousins, retired after decades of success, in 1988. From 1987 on, she recorded solo. At Davies she also performed a tribute to great ladies of song including Ella Fitzgerald and Lena Horne, singing songs associated with them such as The Man I Love and Stormy Weather. No worries, Neither One of Us (Wants to be the First to Say Goodbye) was there, too. This entry was posted in Hedgehog Highlights and tagged Alexus Hoover, Brandon Smith, Cyndi Lauper, Davies Symphony Hall, Dionne Warwick, Ella Fitzgerald, Gail Deadrick, Gladtys Knight and the Pips, Gladys Knight, James Davis, JaVont'e Pollard, Joseph Green, Lena Horne, Leon Turner, Marilyn McCoo, Michael Jackson, Nancy Wilson, Nell Carter, Patti Labelle, Porcha Clay, Ray Charles, Saints Unified Voices, San Francisco Symphony, Yuko Tamura on December 17, 2016 by Leslie. The Lively Foundation is profoundly saddened by the loss of Martina Knee. We only learned recently that Ms Knee passed away, Sept. 26, 2016. She was a remarkable woman, especially as a tireless champion of refugees and a relentless fighter against genocide. She is survived by her husband and her Sudanese god son. Born in Austria, she came to the US with her family at age two. Both parents were MDs. She worked her way to her B.A. at UC, Berkeley, and to her JD from UC, Berkeley’s Boalt Hall. She left a successful corporate law career to become VP and General Counsel for UUNET, an Internet Service Provider that grew to be the world’s largest ISP. She retired from corporate life in 2005. She discovered her family’s Jewish background as an adult and became dedicated to fighting all genocide. She was Executive Director of the Bay Area Darfur Coalition; a co-founder of Act for Sudan, an alliance of American activists and Sudanese refugees in the US. The list of organizations to which she devoted her time, energy and great intelligence is very long. She became a Carl Wilkens Fellow, focused on developing the political direction among community leaders to stop and prevent genocide. She was a member of the Advisory Board of the UC Berkeley Law School Human Rights Center; an officer and Director Of Living Ubuntu which focused on the health of refugees and public awareness of their needs; a member of the American Jewish World Services; co-chair of the International Human Rights portfolio of the Jewish Council for Public Affairs’ task Force on Israel World Jewry, and International Human Rights. This is only a brief sample of her devotion to human rights locally and around the world. Martina was honored as a “Darfur Hero” by the Save Darfur Coalition in October 2007 and received the Honorable Tom Lantos Memorial Humanitarian of the Year award, 2008. In 2006, Martina and her husband, Michael, assisted a family of South Sudanese who emigrated from Uganda to San Francisco. Martina and Mike mentored and tutored two of the younger members of the family who graduated from Stuart Hall High School. Emmanuel, who earned a college degree with their love and support, is like a son to them. The Lively Foundation Artistic Director, Leslie Friedman, met Ms Knee in the court yard of Temple Emanu El, San Francisco. The Temple had for many months a huge banner asking everyone to support efforts to help Sudanese refugees and to stop the atrocities in Darfur. Ms Knee was behind a table like any volunteer with a petition, literature, and requests for donations. In conversation about what could be done, Ms Friedman mentioned that she was involved in a performance at the Cowell Theater very soon (probably in a few days). The Lively Foundation needed volunteers to sell refreshments, mostly water, during the intermission. Would Ms Knee and/or any volunteers for the Darfur efforts like to come to the performance, sell refreshments and keep every cent that came in from the sales? Yes. In this way, without knowing any more about Martina Knee than that she was working very hard for this desperate cause, we had the great honor to meet a great human being. May her memory be a blessing. This entry was posted in Lively Foundation News & Events and tagged Acto for Sudan, American Jewish World Services, Bay Area Darfur Coalition, Carl Wilkens Fellow, Darfur, genocide, Jewish Council fo rPublic Affairs, Martina Knee, Sudan, Tom Lantos Memorial Humanitarian of the Year award, UUNET on December 7, 2016 by Leslie. Do they play baseball in Berlin? When I think of the performance of Brahms’ Symphony No. 2 at Davies Symphony Hall, Nov. 23, I keep thinking, “They hit it out of the park.” As performances of grand, serious, classical music go, this was a home run (if there is no baseball in Germany, allow me to say home run with bases loaded. That means it was as good as it could get. ) Conducted by their Artistic Director, Simon Rattle, the Berlin Philharmonic played the symphony with all the heart and hope of Johannes Brahms. That is a very great heart, one with the breadth to embrace the world with hope that humankind’s good will find a way to stay steps ahead of its bad. Commentators on the Symphony No. 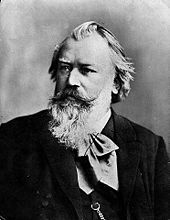 2 have written as though it is a cheery, celebratory work with less depth than other Brahms masterpieces. While it has moments of beauty without struggle, they are not its whole character. There is struggle, there is darkness, but the dark never completely shuts out the light. The symphony achieves triumph through balance arising from the push and pull of dark and light. At the end, having experienced the fear of losing the way, the Symphony a great hurrah. It is greater for knowing the struggle. On Nov. 23, the entire audience jumped to its feet perhaps grateful to Brahms and the Berlin Philharmonic for having brought them through uncertain times to an affirmation, though an affirmation with complexities even on a sunny day. Maestro Rattle chose a fascinating program for the first half of the concert: Five Pieces for Orchestra, Opus 16 (1908), by Arnold Schoenberg; Six Pieces for Orchestra, Opus 6 (1908/1928) by Anton Webern; Three Pieces for Orchestra, Opus 6 (1915/1929) by Alban Berg. These works represented the significant new music of their era and the considerable unity of their composers’ thoughts. Rather than play them as separate compositions, Maestro Rattle had them played one after the other with minimal pause between works. Together they formed a new symphony of Viennese masters. The conductor explained to the audience that composers after Mahler confronted the question of where music could go next. They experimented with harmonic language. Rhythm and dynamics came center stage more than harmony. The music of these composers has the reputation of being prickly and difficult. The Berlin Philharmonic’s performance of the works revealed the music’s texture and emotion. It was a rich experience. This music is no longer contemporary, but still sounds new. Hearing it made this listener realize how much later composers drew from it. Next time I will listen to these works individually, but hearing this composite symphony allowed me to dive in amongst sounds like broken shards of a magnificent, stained glass window. Simon Rattle becomes the Music Director of the London Symphony Orchestra, Sept.,2017. He ends his position as Chief Conductor of the Berliner Philharmoniker, in 2018. Among innovations during his tenure is the orchestra’s Digital Concert Hall which broadcasts their performances over the internet. In 2014, the orchestra released the complete symphonies of Robert Schumann. In April, 2016, their recordings of all the Beethoven symphonies appeared on CDs and also Blu-ray discs as HD videos. These recordings are with Simon Rattle conducting and on the label Berliner Philharmoniker Recordings. 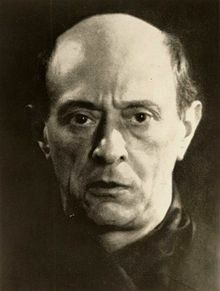 Pictures, from top, Johannes Brahms; Arnold Schoenberg, photo by Man Ray; Simon Rattle. This entry was posted in Hedgehog Highlights and tagged Alban Berg, Anton Webern, Arnold Schoenberg, Berlin Philharmonic, Berliner Philharmoniker, Berliner Philharmoniker Recordings, Brahms Symphony No. 2, Davies Symphony Hall, Digital Concert Hall, Johannes Brahms, London Symphony Orchestra, Mahler, Man Ray, Robert Schumann, San Francisco Symphony, Simon Rattle on December 5, 2016 by Leslie.